Bill joined Rich & Cartmill, Inc. as an associate agent in July 2017. 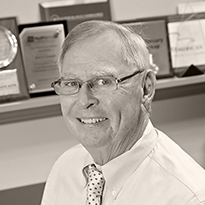 He started his insurance career in 1976 with a local agency in Tulsa, OK as claims manager. After the agency was sold to Fred S James, Inc. a National Insurance Brokerage firm in 1980, he went into the sales department. He excelled as a producer and was promoted to Vice President. Bill prides himself on providing customer service and assessing the insurance needs of his client’s. Bill has worked with a wide array of clients in the Manufacturing, Communications, Food processing and Transportation industry. Bill has served as Chairman of the Citizen Crime Commission and worked with other nonprofit associations. He enjoys football, fishing, hunting and spending time with his family and friends.